Team Europe, coached by Ralph Krueger, will have plenty of NHL and international experience but figures to be at a disadvantage in the 2016 World Cup of Hockey because its players haven't played together before as a group. The roster will be comprised of players from European nations, excluding Sweden, Finland, Czech Republic and Russia. It's likely to prominently feature players from Switzerland, Slovakia, Germany and Denmark, although players from other countries are eligible. Former NHL forward Miroslav Satan, who played for Slovakia's national team, is general manager. It's his task to assemble a group of players from multiple countries who can quickly come together as a cohesive unit for the tournament, which will be held Sept. 17-Oct. 1, 2016, in Toronto. Leon Draisaitl, Edmonton Oilers, Germany, C -- Draisaitl had a goal and four points in seven games for Germany at the 2014 IIHF World Championship. The 19-year-old had two goals and nine points in 37 games for the Oilers as a rookie in 2014-15 before being sent back to junior but is expected to play a bigger role in Edmonton this season. As perhaps the youngest player on the roster, he'll have plenty of veterans to look toward for leadership. Lars Eller, Montreal Canadiens, Denmark, C -- Eller, 26, had 15 goals and 27 points last season, and scored seven game-winning goals. He was productive for Denmark at the World Championship in 2010 and 2012 (five goals, 10 points in 14 games), and has 60 goals, 130 points and 273 penalty minutes in 363 NHL games. Zemgus Girgensons, Buffalo Sabres, Latvia, C -- Girgensons was the highest-selected Latvian in NHL history (14th in the 2012 NHL Draft) and received the most votes for the 2015 Honda NHL All-Star Game. He had 15 goals and 30 points in 61 games last season, and has 23 goals and 52 points in 131 NHL games. Girgensons, 21, had two points in five games with Latvia at the 2014 Sochi Olympics. 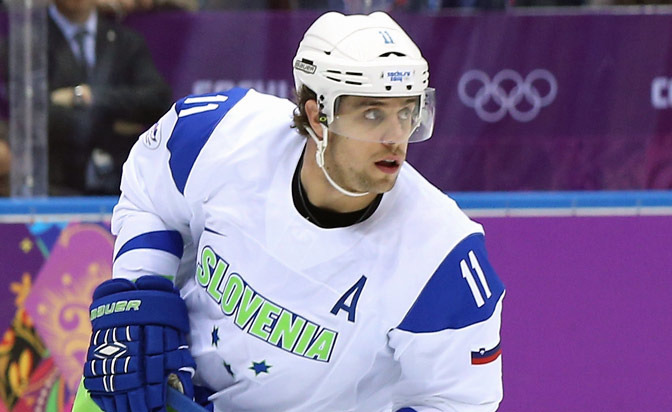 Anze Kopitar, Los Angeles Kings, Slovenia, C -- Kopitar, 28, has scored at least 60 points in each of his first eight full NHL seasons, including seven 20-goal seasons and two 30-goal seasons. He led the Kings in scoring each of the past seven seasons, and was the lone NHL player on Slovenia's Olympic roster in 2014, when he had two goals and an assist in five games. The two-time Stanley Cup winner (2012, 2014) is one of the best two-way forwards in the NHL and was nominated for the Selke Trophy last season. Kopitar should be a difference-maker on special teams; he has 70 power-play and nine shorthanded goals in his NHL career. Frans Nielsen, New York Islanders, Denmark, C -- Nielsen, 31, is a two-way forward who had 43 points last season after NHL career highs with 25 goals, 33 assists and 58 points in 2013-14. He has 13 shorthanded goals in his NHL career, including seven during the 2010-11 season, and has played for Denmark at five World Championships. Nielsen could play on a line with former Islanders teammate Michael Grabner. Mikkel Boedker, Arizona Coyotes, Denmark, LW -- Though hampered by injuries last season, Boedker scored 14 goals and had 28 points in 45 games with the Coyotes; he had 19 goals and 51 points in 82 games in 2013-14. The 25-year-old has eight goals and 15 points in 26 games for Denmark in four appearances at the World Championship. Tomas Tatar, Detroit Red Wings, Slovakia, LW -- Tatar led the Red Wings with 29 goals last season and was third with 56 points. He was a force on the power play (nine goals, 19 points) and had seven game-winning goals. 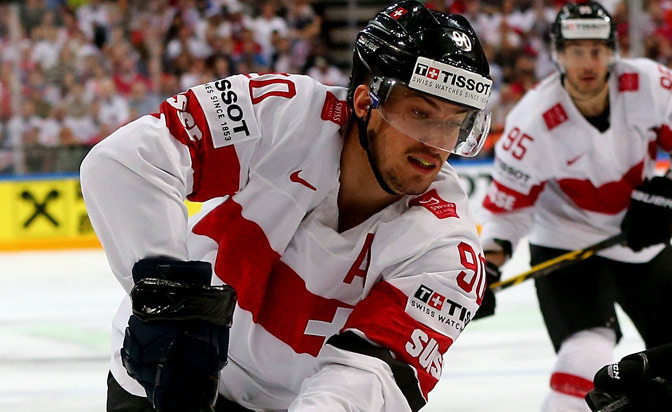 The 24-year-old had two points in four games for Slovakia at the 2014 Sochi Olympics but was more impressive at the 2014 World Championship, when he had four goals and eight points in seven games. Thomas Vanek, Minnesota Wild, Austria, LW -- Vanek is two goals shy of 300 in his NHL career and has scored at least 20 goals in each of his 10 seasons, so he's consistent. He'll help Team Europe on the power play (118 goals, 215 points on the man-advantage). Vanek, 31, had one point in four games at the 2014 Sochi Olympics. He also could find himself playing on a line with Grabner, his teammate for most of the 2013-14 season with the Islanders. Marian Gaborik, Los Angeles Kings, Slovakia, RW -- For all the unknowns about Team Europe, its top line seems all but set with Gaborik, a versatile wing, playing with Kings teammate Kopitar and Chicago Blackhawks forward Marian Hossa. The three have combined to win the Stanley Cup six times, and Gaborik and Hossa have played on the same line for Slovakia at the Olympics. Gaborik, 33, had 27 goals for the Kings last season; he has scored at least 30 goals seven times and has three 40-goal seasons. Michael Grabner, Toronto Maple Leafs, Austria, RW -- Grabner may never be the same player who scored 34 goals as a rookie in 2010-11; last season, he had eight goals in 34 games with the Islanders and missed most of it with injuries. But he has proven himself in big games. At the Sochi Olympics, Grabner had five goals and an assist in four games for Austria, which scored a total of seven goals. The five goals tied him for the tournament lead. Grabner, 27, had five goals in three games during Olympic qualifying in 2008-09 and has 11 shorthanded goals in his NHL career. His speed should be a huge asset to Team Europe. Marian Hossa, Chicago Blackhawks, Slovakia, RW -- Hossa has scored 486 NHL goals and has been one of the League's most consistent scorers for more than a decade, with 14 seasons of 20-plus goals and three 40-goal seasons. He's a clutch performer, with 76 game-winning goals during the regular season and 144 points in 194 Stanley Cup Playoff games. He has experience with several of the likely forwards on Team Europe. Though Hossa is 36, he scored 22 goals and had 61 points in 82 regular-season games in 2014-15, then contributed four goals and 17 points in 23 playoff games to help the Blackhawks win the Stanley Cup. He has shown no signs of slowing down. Nino Niederreiter, Minnesota Wild, Switzerland, RW -- The 23-year-old never got his career going with the Islanders (two goals in 64 games) but has been a big part of the Minnesota offense the past two seasons with 38 goals and 73 points in 161 games. He has seven goals in 23 playoff games with the Wild, and was scoreless in four games with Switzerland in the 2014 Olympics. Mats Zuccarello, New York Rangers, Norway, RW -- Zuccarello scored 15 goals and had 49 points last season after he had 19 goals and 59 points in 2013-14. The 28-year-old sustained a serious head injury during the 2015 playoffs that limited him to five games, but he said last week he's "good as new" and has been skating at the Rangers training center. He has represented Norway at the past two Olympics. Zdeno Chara, Boston Bruins, Slovakia -- Chara, 38, struggled last season, when he missed 19 games because of injuries and had eight goals and 20 points; before that, he had at least 40 points in each of his past nine full NHL seasons. The Bruins captain has nine goals and 22 points in 76 international appearances for Slovakia, and that experience should help on a roster that has less experience than many teams. Christian Ehrhoff, Los Angeles Kings, Germany -- Ehrhoff had three goals and 11 assists in 49 games for the Pittsburgh Penguins last season. He missed 33 regular-season games and all of the Penguins' playoff games because of injuries. He scored 20 or more points in his previous nine seasons, including an NHL career-high 50 with the Vancouver Canucks in 2010-11, and the 33-year-old brings more veteran leadership on defense. Roman Josi, Nashville Predators, Switzerland -- Josi, 25, had a breakout season with the Predators in 2014-15 (15 goals, 55 points, plus-15) and has experience with Switzerland. He played in the Sochi Olympics and the World Championship in 2014 and '15, scoring three goals with eight assists in 15 games at the latter two tournaments. Though he would be the youngest defenseman on Team Europe's roster, he could be the most important. Expect him to see major minutes in all situations. Luca Sbisa, Vancouver Canucks, Switzerland -- Sbisa, 25, four months younger than Josi, had three goals and 11 points in 76 games for the Canucks last season, and has 12 goals and 67 points in 342 games in his seven NHL seasons. Sbisa was born in Italy but plays for Switzerland; he played five games in the 2010 Vancouver Olympics. Dennis Seidenberg, Boston Bruins, Germany -- Seidenberg, 34, played in 82 games with the Bruins last season (three goals, 14 points) and has represented Germany internationally since 1999, when he was on its Under-18 team. He's participated in three Olympics (2002, 2006, 2010) and could be paired with countryman Ehrhoff or Boston teammate Chara. Andrej Sekera, Edmonton Oilers, Slovakia -- Slovakia didn't have much success at the Sochi Olympics, finishing in 11th place, but Sekera had two assists in four games. He played 57 games for the Carolina Hurricanes in 2014-15 before being acquired by the Kings in late February; he had three goals and 23 points in 73 games, then signed a six-year contract with the Oilers on July 1. The 29-year-old is a solid puck-moving defenseman who will set up his teammates before shooting himself. Mark Streit, Philadelphia Flyers, Switzerland -- Streit, 37, is an offensive defenseman who has missed one game in the past four seasons. He had nine goals and 52 points with the Flyers last season. The three-time Swiss Olympian (2006, 2010, 2014) could wind up quarterbacking the power play: 44 of his 84 NHL goals and 186 of his 384 points have come with the man-advantage. Frederik Andersen, Anaheim Ducks, Denmark -- Andersen, 25, is 55-17-5 with a .918 save percentage in two seasons with the Ducks. He helped Anaheim reach the Western Conference Final last season. Andersen represented Denmark at the World Championship in 2010 and 2011; he was 3-7-0 in 10 appearances but will have much better talent around him this time. 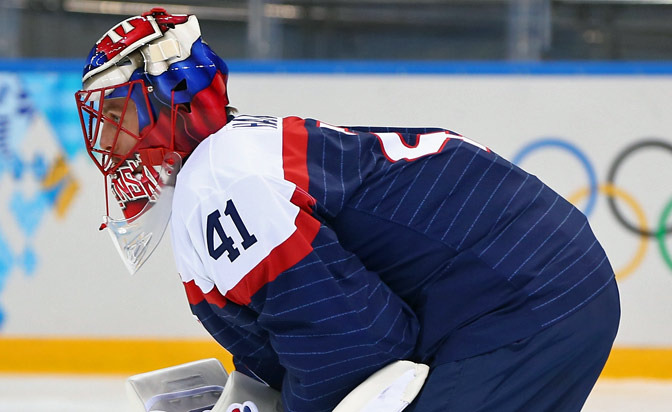 Jaroslav Halak, New York Islanders, Slovakia -- Halak, 30, had a career season with the Islanders in 2014-15 (38-17-4, six shutouts, .914 save percentage) and has represented Slovakia in the past two Olympics. Chara and Sekera were teammates at each of those Olympics, so Halak should have familiarity with at least some of his defensemen. Jonas Hiller, Calgary Flames, Switzerland -- Hiller, 33, was outstanding for Switzerland at the Sochi Olympics, winning two of three games and allowing two goals on 68 shots, proving he's more than capable if called upon. In 52 games with the Flames last season, he was 26-19-4 with a 2.36 goals-against average and .918 save percentage.